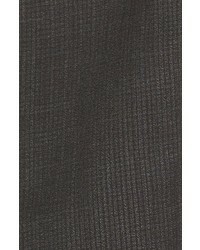 A grey wool double breasted blazer and charcoal check wool dress pants are essential in any gent's wardrobe. Add dark brown leather double monks to your getup to instantly amp up the wow factor of this ensemble. 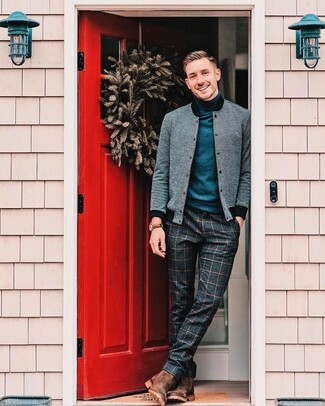 Make women go weak in the knees in a grey wool double breasted blazer and BOSS charcoal check wool dress pants. 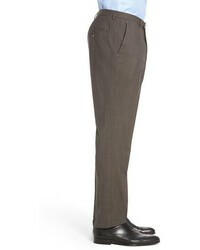 You can get a little creative in the shoe department and add dark brown leather double monks to this ensemble. Team a black overcoat with BOSS leenon flat front check stretch wool trousers for a sharp classy look. Grab a pair of black leather derby shoes to make the ensemble current. 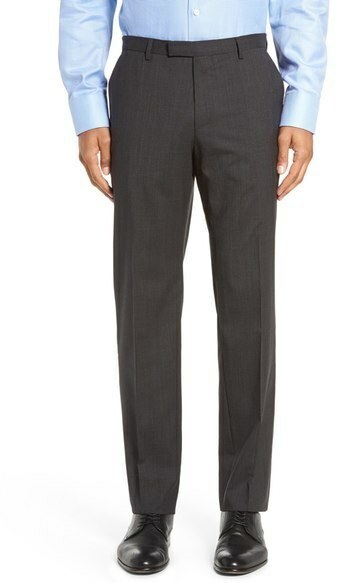 For a nothing less than incredibly stylish look, rock a tan wool blazer with BOSS leenon flat front check stretch wool trousers from Nordstrom. 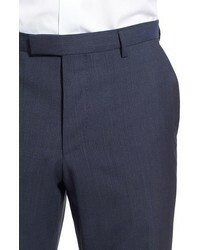 When it comes to footwear, this outfit is complemented nicely with black leather double monks. 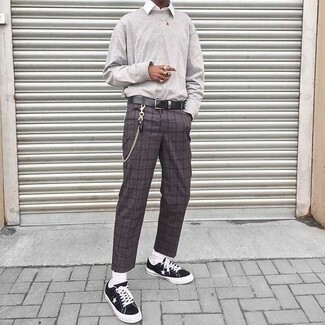 For a smart casual look, opt for a grey sweatshirt and charcoal check wool dress pants — these pieces work nicely together. Make your getup more fun by rounding off with black canvas low top sneakers. 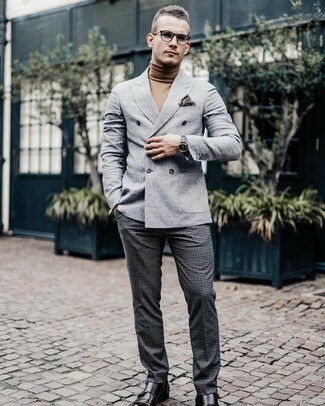 This combo of a grey bomber jacket and BOSS charcoal check wool dress pants will prove your skills in menswear styling. 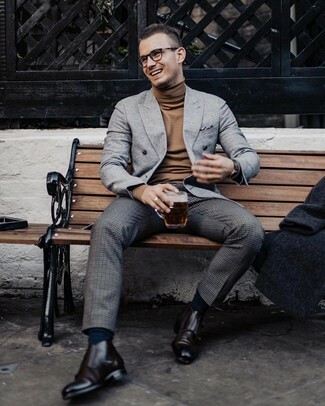 Brown suede chelsea boots finish off this outfit very nicely. 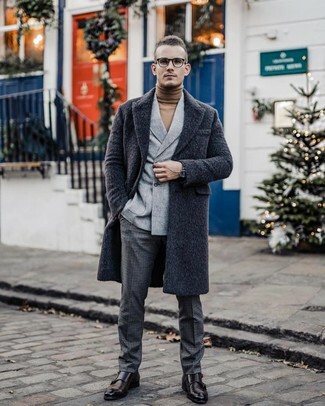 Let everyone know that you know a thing or two about style in a charcoal overcoat and BOSS leenon flat front check stretch wool trousers. Add a sportier feel to your getup with black canvas high top sneakers. 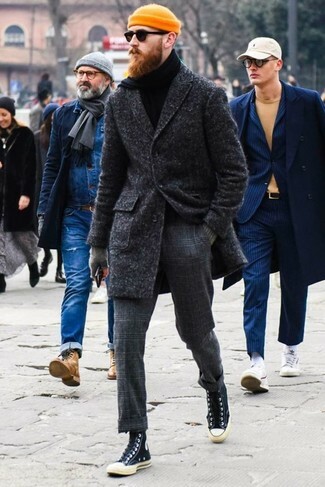 This combination of a charcoal overcoat and charcoal check wool dress pants is a winning option when you need to look really stylish. 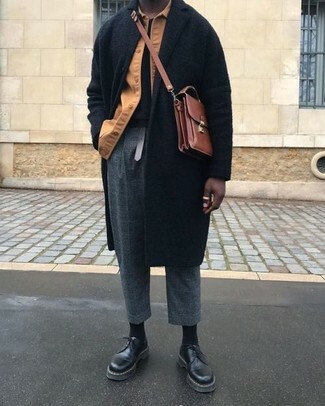 Our favorite of a multitude of ways to round off this ensemble is dark brown leather double monks.